From September 22nd-25th, The Second Annual 3D Film Festival will present a number of screenings which have also been expanded to include a 3D Fashion Show, 3D Stand-Up Comedy, and 3D Music. Among the 60 films being screened are Kung Fu Panda 2, Green Lantern and a screening of the new film, Dolphin Tale. 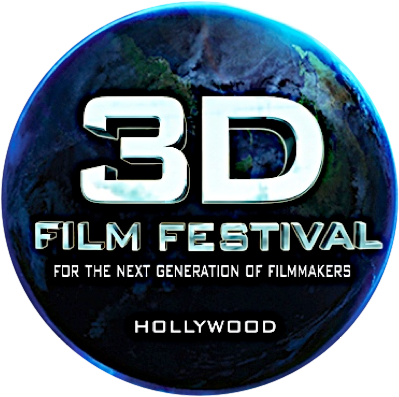 Hollywood, CA (September 07, 2010) – The world’s first 3D Film Festival (3DFF) is returning for its 2nd annual residency at the Los Angeles Film School from September 22-25, 2011 with the addition of a new 3D Music Festival Program to be held at Avalon Hollywood. “The four day festival will host 3D Films, a 3D Fashion Show, 3D Stand-Up Comedy, and 3D Music concerts in addition to a few surprises,” announced Christopher Crescitelli, the Festival’s Director. The Festival will open with a screening of Warner Bros. and Alcon Entertainment’s “DOLPHIN TALE,” a film inspired by the true story of Winter, a dolphin who lost her tail but was saved through the efforts of a group of compassionate people and the groundbreaking invention of a prosthetic tail. Opening nationwide on September 23rd, the film stars Harry Connick Jr., Ashley Judd, Nathan Gamble, Kris Kristofferson and Morgan Freeman. A filmmaker Q & A will follow the screening, leading into the 3DFF’s Opening Night Gala. Kicking off at Avalon Hollywood, the Gala features live performances by Golden State Band and Alyssa Suede, also debuting her new 3D music video. The Festival will showcase more than sixty films comprised of Shorts, Music Videos, and Documentaries, as well as Indie Features, Studio Blockbusters and Sneak Peeks. 3DFF’s Red Carpet Showcase will include the L.A. premiere of “OCEAN VOYAGERS 3D,” narrated by Oscar-, Golden Globe- and Emmy Award-winning actress Meryl Streep. Filmed over a 5-year span in the waters of French Polynesia, Hawaii, Alaska and beyond, the film follows a mother humpback whale and her newborn calf in a “coming of age” journey. Another highlight of the Festival will be the World Premiere of the 3D concert film and documentary on Cui Jian, China’s “godfather of rock’n’roll,” titled “NOTHING TO MY NAME,” (previously titled “Stereo Symphony on the New Long March”) produced by 3D China LTD. This year, the Festival features its popular Kids & Family afternoon with major studios contributing blockbuster 3D films such as Paramount’s “KUNG FU PANDA 2” and Warner Bros.’ “GREEN LANTERN,” which will make up one half of the 3D Comic Book Movie Double Feature being held in partnership with the Los Angeles Comic Con. Additionally, other programming blocks include the popular Midnight 3D Horror Show and the 3ology Series featuring a wide selection of 3D shorts, commercials, and experimental films from around the world. In keeping with 3DFF’s commitment to education, the Los Angeles Film School’s new RealD theater, where the majority of the Festival’s 3D fare will screen, will also function as a classroom for the Festival’s 3D Academy Workshop programs, which will be held on Saturday and Sunday afternoons. The 3D Academy will host 3D industry panels on Advertising, 3D Camera & Post Workflows, Content Distribution and Motion Capture. The 3D Lounge returns and will be home to the Korean and Chinese 3D pavilion as the Festival hosts guest speakers from Korea’s KDC Corporation, a pioneering force in Asia working to unify the Korean, Chinese, and American 3D Industries. The new 3D Music Festival, running in tandem with the Film Festival, will operate nightly at Avalon Hollywood and will feature a variety of live performances all in 3D along with celebrity DJ’s and concert film screenings. Celebrity clothing designer Alexis Monsanto will help kick off the Music Festival on Thursday night with the first of its kind 3D Fashion Show. Other music programs includes the “3D Comedy and Variety Show” featuring Chicago’s own Amy & Freddy headlining with the Comedy Store’s Adam Barnhardt, both of whom will perform live in 3D for the first time using custom created 3D visuals produced by 3DFF and Arcane Realities. The Festival will wrap up on Sunday evening with its Closing Night Gala featuring the “Disclosure Concert,” a series of 3D music performances inspired by the work of Dr. Steven Greer and his DisclosureProject.org. Other closing night activities will include a 3D Light Parade with the Hollywood High Marching Band, Cheerleaders and Glee Club. The 3D Film & Music Festival, presented by RealD and The Los Angeles Film School, is produced by The Dream Factory. Sony Electronics provides its 4K digital cinema projector, with RealD being the exclusive 3D technology provider for the festival screenings. Other sponsors include Hollywood DI, providing 3D Post Production, Metro Rail, Fandango, LA411, 3D Summit, Avalon Hollywood, Green Door, HELLO!, 3D Live Flix, 3ality Digital, VER, PassmoreLab, Mocap Guys, NCM, AEG, Network Live!, Amoeba Music, Alioscopy, Eventful and WantTickets.com. All 3D films are free on a first-come first serve basis. Music festival events are ticketed. For more detailed information about the 3D Film & Music Festival including a full program schedule and how to obtain tickets, please visit www.3DFF.org & www.3dmusicfest.org. The Dream Factory Studio, with primary offices in Hollywood is the world leader in interactive live 3D events. 3DFF is noted as the first digital 3D film & interactive festival program of its kind in the United States. 3DFF’s non-profit initiative, whose mission is to educate and inspire independent filmmakers to use 3D as a new tool for telling their stories, operates on a sponsor supported eco-system. To become a supporter of 3DFF or for more information please visit www.thedreamfactorystudio.com or www.3dff.org.